Checking and tuning your Windows 10 settings is highly recommended. I typically do this when helping clients upgrade to Windows 10 or set up a new PC. Windows 10 moved many settings from control panels to the Settings app. There’re lots of privacy settings, as I’ve mentioned previously. As a result, PC World’s recent article “Microsoft finally reveals what data Windows 10 collects from your PC” is noteworthy. 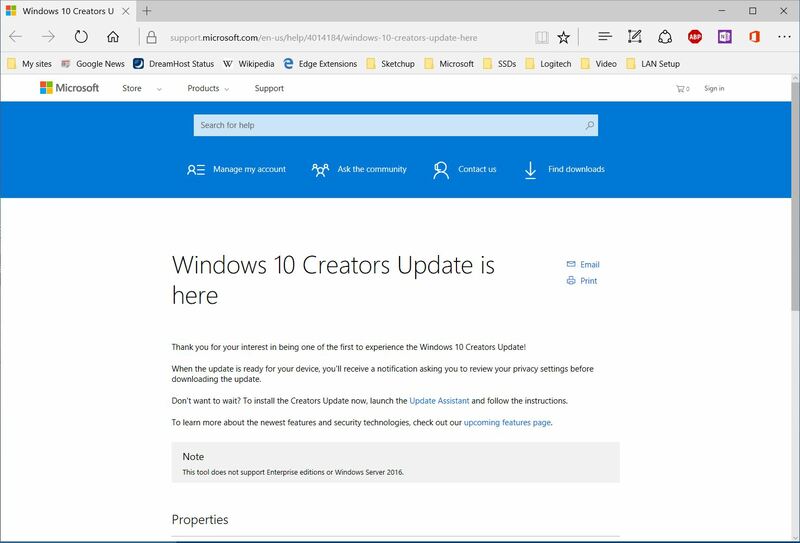 There are all kinds of new features in the Windows 10 Creators Update rolling out on April 11, but one change really sticks out. Greater transparency about the data that Microsoft collects from your PC. All too often manufacturers and service providers intone that collecting diagnostic (or quality-of-service) data helps improve their products and services. Some of this appears reasonable. Some remains mysterious. And occasionally there are stories about excessive or inappropriate data collection (e.g., regarding some children’s Internet-connected toys). Or how such data may be stored essentially forever. And security of that data. 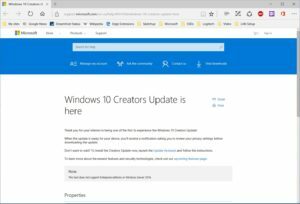 Microsoft published two Technet pages describing the data Microsoft collects from users on the Creators Update. There are two levels of diagnostic data: basic3 and full4. The information is quite detailed and we won’t get into it here, but if you’re interested, you can find all the nitty-gritty details in those links. Note that while the Basic listing reveals all, the Full listing is a summary of the kinds of data that setting collects. Even the basic level can gather quite a bit of info from your PC, though in a blog post, Windows chief Terry Myerson pledges that “we only collect data at the Basic level that is necessary to keep your Windows 10 device secure and up to date.” Microsoft still offers no native way to turn off Windows 10’s diagnostic collection completely. At least in the latest Windows 10 Update Microsoft consolidated privacy settings better. Instead of a string of screens when you first install the new version of Windows 10, Microsoft is putting all the key privacy settings on one screen. The dashboard you’ll see depends on whether you’re already running Windows 10 on your machine or setting up a new PC for the first time. I am more concerned about data collection by major corporations and the many app/service providers than by the government. With Windows 10 for most people, Updates are delivered automatically. It’s easy to see your Update History in Settings — what was installed. For example, Cumulative Updates, Security Updates for Adobe Flash Player, Windows Malicious Software Removal Tool installs. But how can you tell if somehow you missed some? Or, perhaps you’re interested in when major Updates were released and what issues were addressed? Well, you can view Microsoft’s “Windows 10 and Windows Server 2016 update history” page. Note the different version numbers. For Windows 7, my experience has been that the Windows Update process can be inconsistent, and the reliability vary from PC to PC. Even manually invoking a check for updates sometimes does not work — the “checking for updates” process never completes. So, the other day I helped a client setup a new Windows 10 desktop PC. She’d replaced an old Windows Vista PC. I’m confident that she’ll enjoy the Windows 10 experience (despite the increased hype of services) and find the interface somewhat similar to Vista. But here’s the gotcha — her new PC came with Windows 10 version 1511, not the latest Windows 10 version 1607, aka Windows Anniversary Update. The Anniversay version is even closer to the interface for Vista and Windows 7. Be prepared to be patient and not able to use your PC for a few hours, either when you manually say to install the Update or when automatically doing so at shutdown. There’s an on-screen note that your PC will restart several times. On one of my PCs, after the first restart, the “Working on updates” (percentage) progress was agonizingly slow. And there’s still a “getting things ready” stage near the end of the Update. Also note that with this Windows Anniversary Update, Microsoft changed the time during which you can rollback to the previous version — only 10 days (rather than 30 days). The Windows Anniversary Update is better than the prior version. Just set aside a few hours, including time to check and retune some settings. 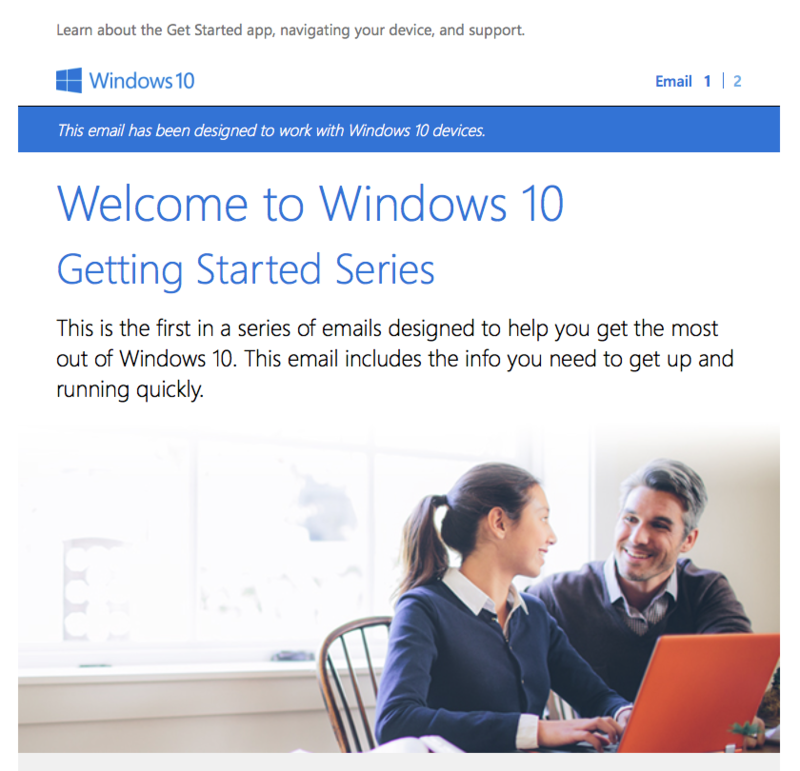 Well, Microsoft’s free Windows 10 Upgrade offer for Windows 7 and Windows 8 expired at the end of July. If you recently upgraded before that deadline, be prepared for another major Update, the Windows 10 Anniversary Update. Yes, it’s been over a year now since Windows 10 was released. Be prepared to set aside around 2 hours for the Update, whether you get the Update automatically like other Windows updates or decide to manually install the Update. 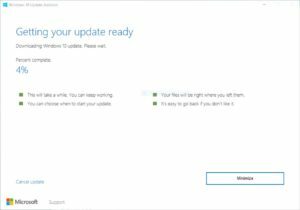 I waited a few days after the Windows 10 Anniversary Update became available, and then checked on several PCs to see whether the Update automatically appeared. Nope. Well, the rollout to millions of users will occur over a period of weeks. Then I read about how to manually download and install the Update. I installed the Update on two PCs so far. I experienced no problems doing the Update or afterwards, although there have been some reports of issues after the massive Update. In each case, the Update took around 2 hours to download and install and complete setup. There was no circular progress diagram like for the Windows 10 Upgrade — just the typical update stages with percent complete indication and restarts. Don’t panic during the occasional black screen transitions in the process. 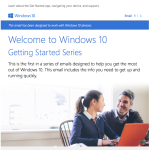 Many other articles cover the new features of the Windows 10 Anniversary Update. Here’re some things that I noticed. In the setup after the last restart, I chose to Customize settings and tuned them to values before the Update, especially Privacy-related settings. The Start menu changed, mostly for the better. In the System Tray, the Notifications icon moved to the right corner and the date / time icon shifted left. The Notifications icon now shows a number count. If not already removed, the Windows Store apps Food & Drink, Health & Fitness, and Travel were removed. These MSN apps were discontinued last year. After the Update, Update History was blank. 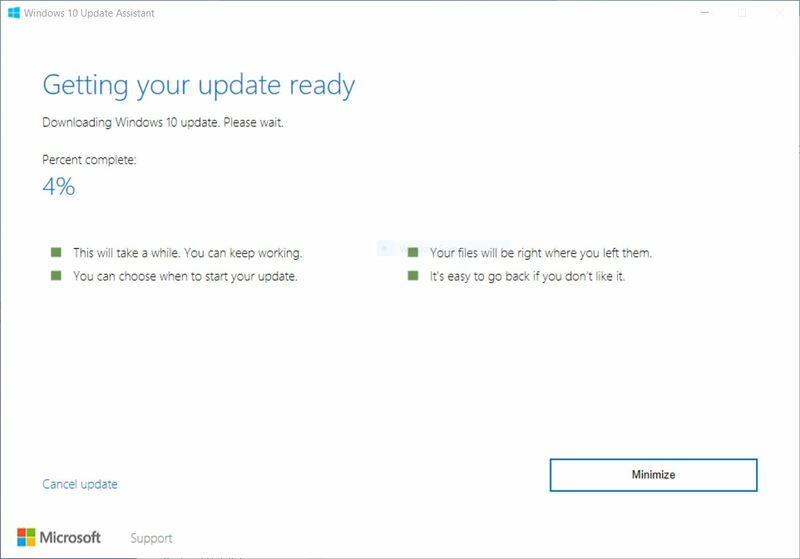 But this changed quickly, as “Patch Tuesday” (on August 9) installed several updates for the new “1607” Windows 10 version — similar to the updates for the “1511” version for those without the Windows 10 Anniversary Update. The Update also fixed some bugs. 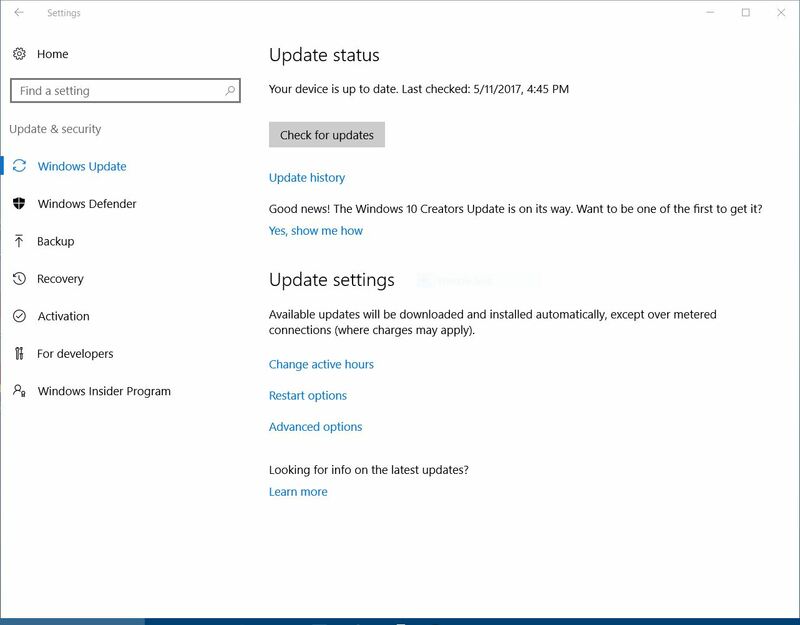 After getting the alert that Windows installed some updates, clicking on that alert opened the Update window. Previously this action usually did nothing. So, Notifications (Action Center) may be working better. Cortana cannot be disabled, but on PCs without a camera or microphone, its presence is really not an issue. The Search box works essentially the same as before. Microsoft’s Edge browser now supports Extensions. I installed a few, while the list of available Extensions is quite limited as yet. 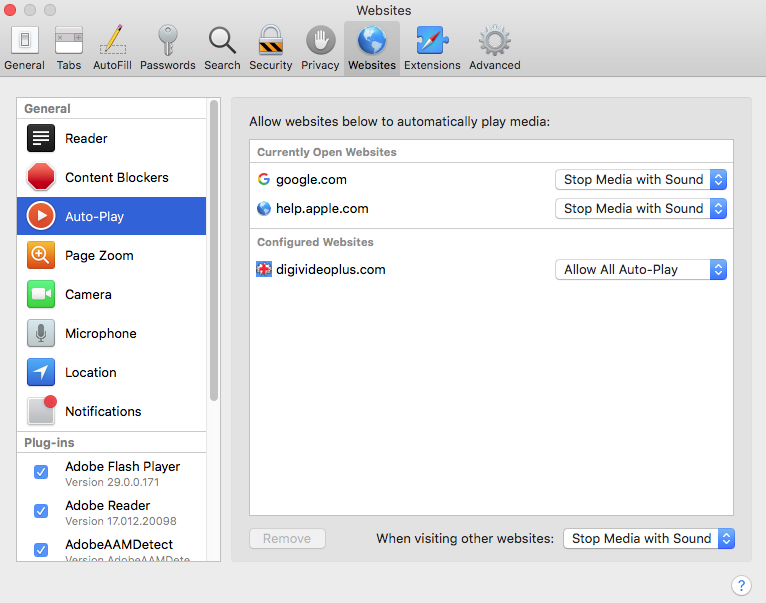 You might want to try AdBlock or AdBlock Plus. There was a really odd quirk when checking for Extensions in the Edge browser. The Windows Store Edge Extensions window was blank until manually resized slightly. Microsoft continues to aggressively push its Windows Store, which started after Windows 7. An ecosystem thing. 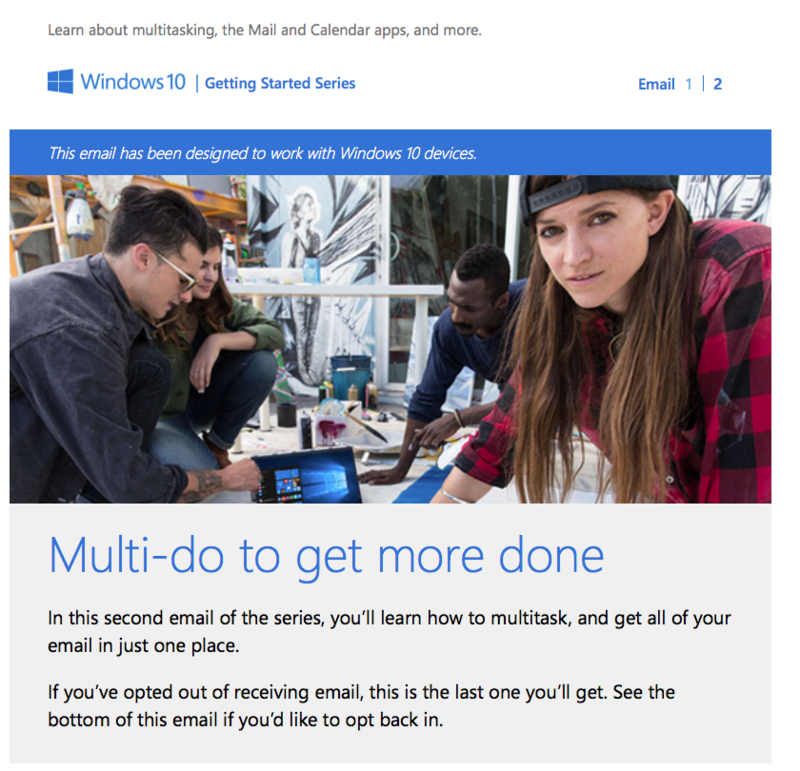 Remember that while you can still use Windows 10 with a local account — versus Microsoft account, Microsoft really wants you in their ecosystem. Devices and services. Using a Microsoft account allows easy access to all their services (and services is their focus). For example, by using a Microsoft account, you’re automatically logged into the OneDrive cloud — no need to separately log into that service; and saving documents to their “cloud” works as just another storage location. If you’re still getting nags on your PC to upgrade to Windows 10, then either I hope that’s an oversight you’ll address before the end of July, or you really do not want the Upgrade. PC World’s article “10 reasons to reject Microsoft’s free Windows 10 upgrade” summarizes why some people are not upgrading. However, as I’ve discussed in other posts, bypassing the Upgrade can be tricky. Note: If you have a Windows 7 PC, Windows 7’s no longer getting any feature updates or Service Packs; Mainstream Support ended January 13, 2015; and Extended Support (bug / security patches) ends January 14, 2020. Last week I received a panicky call from a client. The Windows 10 Upgrade was being installed without her permission! 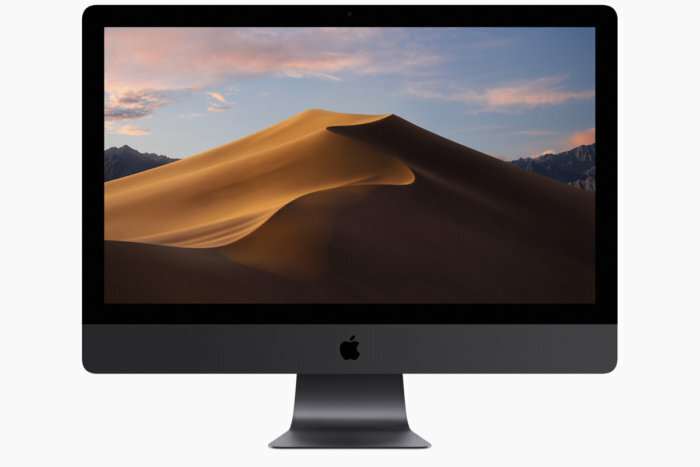 She’d not done anything different for the last months — in response to all the nagging to Upgrade, she just clicked on the “X” button in the pop-up. She didn’t want Windows 10 on her current Windows 7 PC. Well, PC World’s May 22, 2016, article “How Microsoft’s tricky new Windows 10 pop-up deceives you into upgrading” explains what happened. Last week, Microsoft altered the GWX prompt, as ZDNet covered. On the surface, it’s an improvement; the box clearly states when your PC will be upgraded, and even adds a (still small and easily skippable) line that allows you to reschedule or change the upgrade timing. So far so good! But here’s the icky part: The redesigned GWX pop-up now treats exiting the window as consent for the Windows 10 upgrade. 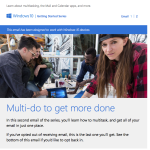 So after more than half a year of teaching people that the only way to say “no thanks” to Windows 10 is to exit the GWX [Get Windows Ten] application—and refusing to allow users to disable the pop-up in any obvious manner, so they had to press that X over and over again during those six months to the point that most people probably just click it without reading now—Microsoft just made it so that very behavior accepts the Windows 10 upgrade instead, rather than canceling it. As I’ve been advising clients, misdirection (something used by magicians and aggressive marketers) is common these days on computers. More than just tiny pre-checked checkboxes, choices are confused by artful presentation. What the presenter wants you to do is shown in large text or with a dominant highlighted button, while other choices use small or obscure placement. For example, this tactic is used immediately when setting up Windows 10. On the “Get going fast” screen, the “Use Express settings” button is dominant (and on the right side), while the “Customize settings” action is subdued (and on the left side). So, my client is far from alone in being unexpectedly Upgraded. I assured her that, while some things would look different, the Start button will still be there, as well as previous items on the Desktop and in the Taskbar; and that she’d likely be able to do what she usually did on her PC. She had time to let the Upgrade proceed and complete successfully. We talked on the phone the next day about one setting and will schedule a session to customize further (and change those default Express settings mentioned above). Windows 10 is fine (although not perfect and a work-in-progress). I recommend Windows 10. But some people have legitimate reasons for not wanting the Upgrade on their current PC. The typical PC user, however, really doesn’t know how to deal with recurring pop-ups for updates and other notifications. Scammers exploit this situation. What happens to trust when legitimate companies use such aggressive deceptive tactics as well? UPDATE MAY 24: PC World’s article “How to escape that forced Windows 10 upgrade you mistakenly agreed to” provides more detail on the Upgrade process — how it should work, where it may be canceled. Microsoft announced this week that the free Windows 10 upgrade offer would end on July 29, 2016. What will the Upgrade cost after that date? Well, that’s not clear yet. The current price for a single Windows 10 PC license on Amazon — Microsoft Windows 10 Home USB Flash Drive — is $119. Windows 10 Upgrade — can you still say no? Computer Comments Off on Windows 10 Upgrade — can you still say no? 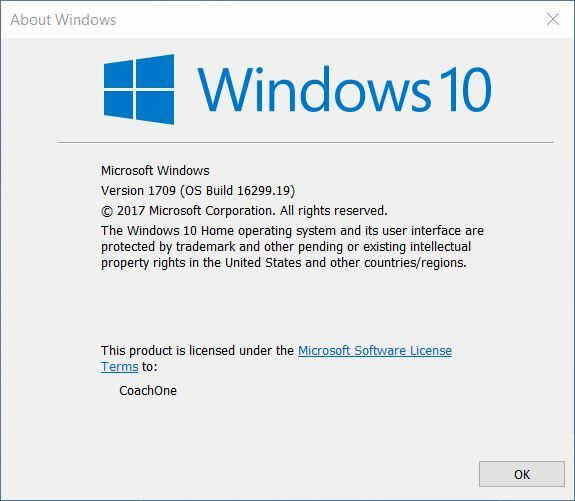 As indicated in my January 20 post, Microsoft is aggressively pushing Windows 7 and Windows 8.1 users to upgrade to Windows 10. Well, yesterday the situation became more interesting. The Upgrade status was changed from “optional” to “recommended.” What does that mean for you? Here’re some articles which answer that question. One more time, for the record: Windows 10 is not a required update for Windows 7 and 8.1 users. It is now recommended. Users who do not want it can just say no. This is a change from the previous categorization of the upgrade as an ‘optional update’ and it means that there is renewed potential for unwanted installations. And here’s the original Windows Blog post (October 2015) outlining Microsoft’s Upgrade policy. Early next year , we expect to be re-categorizing Windows 10 as a “Recommended Update”. 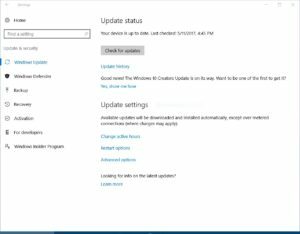 Depending upon your Windows Update settings, this may cause the upgrade process to automatically initiate on your device. Before the upgrade changes the OS of your device, you will be clearly prompted to choose whether or not to continue. And of course, if you choose to upgrade (our recommendation! ), then you will have 31 days to roll back to your previous Windows version if you don’t love it. I’ve written about this issue before. I am more and more concerned about it for some of my clients. For those who really do not want to upgrade to Windows 10. Maybe they’ll get a new PC in a few years (which will come with Windows 10) but until then their current Windows 7 or Windows 8.1 PC is just fine. Microsoft is so aggressively promoting Windows 10 that their Upgrade nags may appear to not allow avoiding it or trick you into accidentally clicking on the wrong item. And it gets worse, as pointed out in this PC World article “You will upgrade to Windows 10: Inside Microsoft’s strong-arm upgrade tactics” published on January 20, 2016. Microsoft plans to push through the initial Windows 10 installation as a Recommended update sometime in 2016. That means Windows 10 will automatically download itself onto any computer that has Windows Update configured to install Recommended updates by default—in other words, the overwhelming majority of consumer PCs in the wild. That’s the default setting for new Windows installs, and the one that most tech experts (ourselves included) recommend that everyday people use. Personally I don’t want the Upgrade forced onto an almost 10 year old Windows 7 PC that I’ve kept for legacy testing and will discard in a few years anyway. It’s got 2GB of RAM (4 GB’s recommended), a slow graphics processor, a low-res screen, and a slow 5400 rpm IDE drive. But what can I do if Windows 10 gets released as an automatic recommended update? If you’re running Windows 8.1, you can use the “metered connection” trick. For Windows 7, however, all automatic downloads need to be disabled, not a viable situation for most people — manual installation’s too complicated. 1. Boot in Safe Mode (which may help isolate the problem to 3rd party add-ons). 2. Try logging into another user account (which may help isolate the problem to corruption of your account). 3. Try restoring to a recent Restore Point before the problem arose (which may revert the system to a healthy state). These procedures require access to the Control Panel or System Configuration; so, if that’s not possible in the usual ways, then another method is required. The last method requires a Windows 10 Recovery Drive, which the article discusses how to create. If you can get to the Control Panel, you might try that. If you can get to the Run dialog box, then you can invoke “msconfig” and follow the instructions. Enter Windows Key + R (the plus sign is NOT typed — it indicates that you need to hold down the Windows Key [Windows logo key] and then type another key) to get the Run dialog and then enter “msconfig” in the box after the “Open:” label. 2. Although some of the articles I found do not mention it, you can create another user account via the Control Panel, which allows you to get at the Settings windows to actually do so. On the Control Panel > All Control Panel Items, click on User Accounts, then Manage Another Account, then on “Add a new user in PC settings.” Then follow the instructions (reference article below as well). Finally, how can you get to the Control Panel if the Start button is not working or any of the usual ways? Enter Windows Key + R to get the Run dialog and then type “control panel” and click the “OK” button. If you got a new PC for the holidays, congrats. What’s next? Windows 10, Cortana, customization, updates, privacy settings, another browser, Malwarebytes Anti-Malware Free, backup, … fun. As for prior years, PC World posted several articles about what to do first with a new PC. Windows 10 is a “winner” in most ways, especially for those moving from older Windows versions (and who invest the time to prep and complete a successful upgrade). However, as I’ve noted in prior posts, news about its “out-of-the-box” settings persists. And that’s a good thing. For many people, those settings may pose privacy issues. It’s best to check what’s going on, as Melissa Riofrio, Executive Editor, highlights in her December 14, 2015, PC World “Fixing Windows 10’s privacy problems” video. Windows 10 has privacy issues: It asks for a lot of information in exchange for using its services. Here’s how to control that information flow. Go to the settings section in Windows 10’s Control panel. You’ll find the privacy settings down near the bottom. You’ll definitely want to explore all the options here, but I’ll show you four [or three] really important ones. Remember, some settings affect important apps like email, so choose wisely. The creepiest online ads are the ones that track where you’ve been and show you stuff you were just shopping for. So, you’ve been using Windows 10 for awhile. What do you think? What do you like or dislike? There are some features that do need some work though. Some of them are pretty obscure issues. You can live with them until Microsoft gets around to addressing them. A few of these even have fixes coming that we know about. Others are more complicated problems that’ll take Microsoft and its partners sometime to address. There’s no doubt about it: Windows 10 is veritably infused with data-tracking tidbits and hooks into all sorts of Microsoft’s online services? Handing over all that data has some tangible benefits, like Windows 10’s OneDrive integration and the Bing-powered brains behind the Cortana digital assistant, but not everyone is thrilled with the idea of Big Brother Bill Gates constantly looking over their digital shoulder. Read the full article for the rundown. I’ll be posting more reactions in the coming weeks.